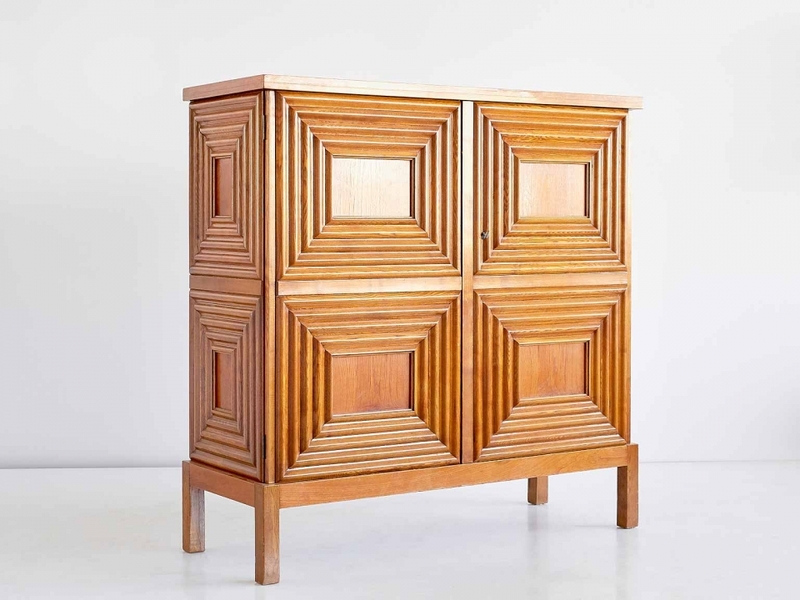 This cabinet designed by Oscar Nilsson and executed by the master cabinetmaker Jacob Wickman was produced in Sweden in the early 1940s. The exterior of the oak cabinet is composed of eight geometrically profiled frames, four on the front and two each on the sides. 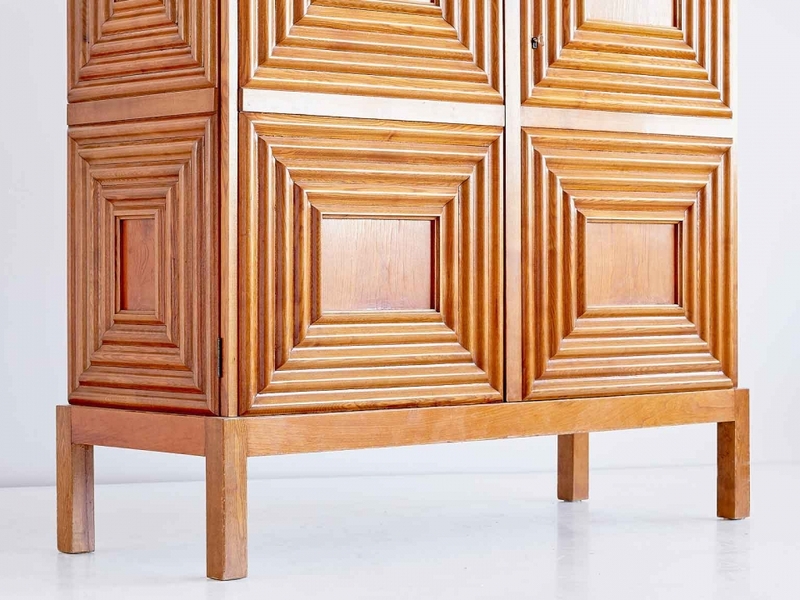 The refined details and the craftsmanship of the woodwork make this an exceptional and rare piece of the Swedish modern period. 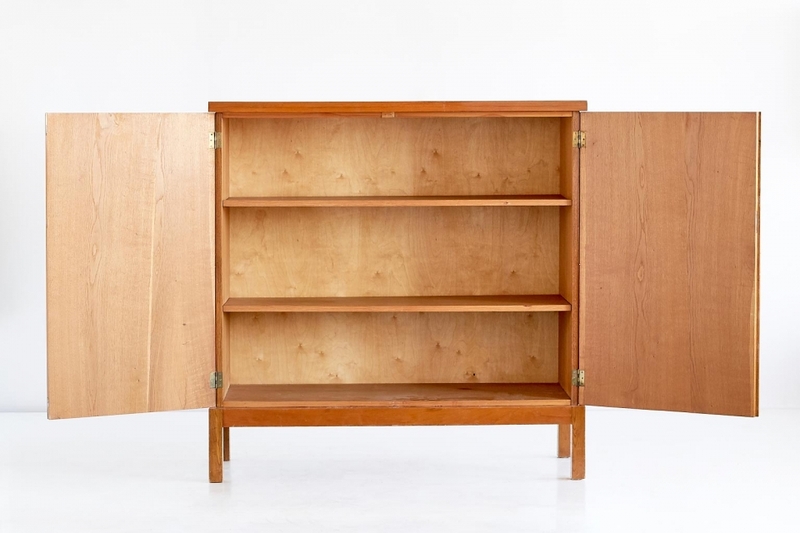 References: Pierre Bergé & Associés Brussels, Design Scandinave, 15 December 2014, lot 185 Piasa Paris, Design Scandinave, 7 October 2015, lot 22 Artcurial Paris, Scandinavian Design, 25 April 2017, lot 89.